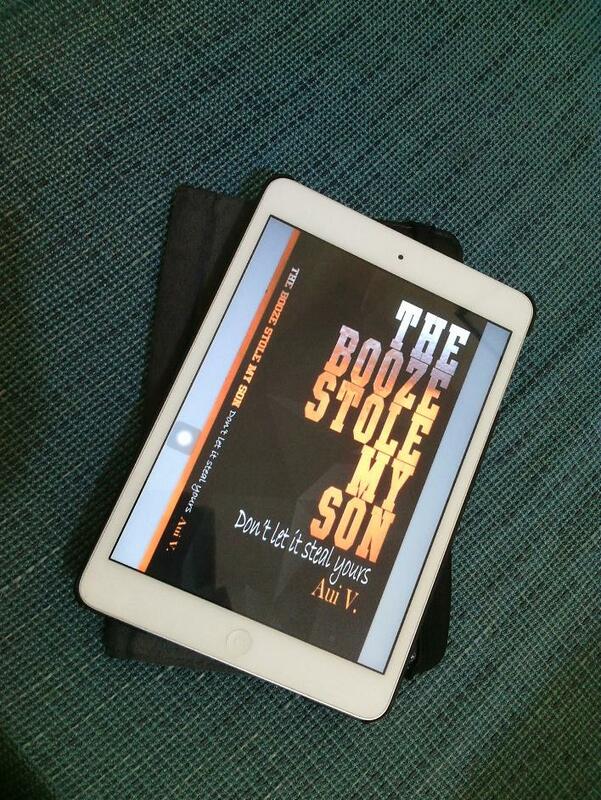 Bookbed reviews: ‘The Booze Stole My Son’ by Aui V.
When Aui V. lost her son to drunk driving, she was forced to face something she was not prepared for. Dealing with her agony, she seeks comfort in writing which leads her to a deeper understanding of love, parenting, death, life and alcoholism. In THE BOOZE STOLE MY SON, Aui V. shares a remarkable account of resilience in the face of an excruciating pain and hope in the promises of God. Through the combination of personal story, biblical evidence of individual ruins after drinking, and the latest research findings on the disease of alcoholism, readers will learn effective ways of dealing with their loved one’s drinking. The book is full of emotions, scientific facts and some bible verses to back up all that the author is describing in her work. It gave light to alcoholism as a disease and not just a social issue. What I like most about this book was it gave us a glimpse of how it feels to lose someone you love so unexpectedly but could have been avoided if we took time to be with them. I also like that before and after every chapter there is this letter that the mother addresses to her son and it is “relatable” to almost everyone who has a mother, or generally someone you treat or love as a mother. As sad as the whole book may be, let me spoil you and (Spoiler alert! Highlight succeeding text to read.) tell you that you would not want to put the book down, especially in the last few chapters. It has this unexpected happy ending… or at least some thoughts that would make you happy you read the book. I had some urges not to continue reading this book probably because I myself have not experienced such great loss and I also have this short attention span. But I think it was also due to some “dead” moments in the book. Some chapters are full of scientific facts and studies that may be too much for some people, like me, to read through. Also, (Spoiler alert! Highlight succeeding text to read.) if you’re not a believer of the Holy Bible and the scriptures, you may not agree with some of the content in this book. I would have never thought of picking this book up if I saw it at an online bookstore or a traditional bookstore but to tell you the truth, I’m glad I had the opportunity to read and review this book. I never experienced alcoholism first hand but I know a few of my friends who struggled with a loved one who is afflicted by this disease. Bookbed received an ebook from the author in exchange for an honest review. Read our Review Policy here.